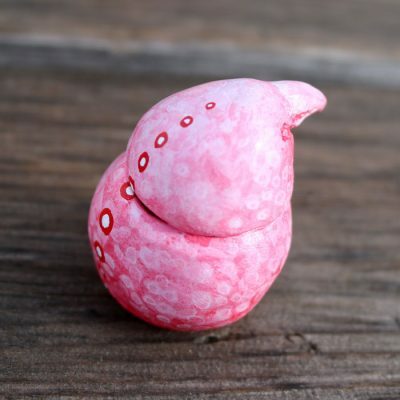 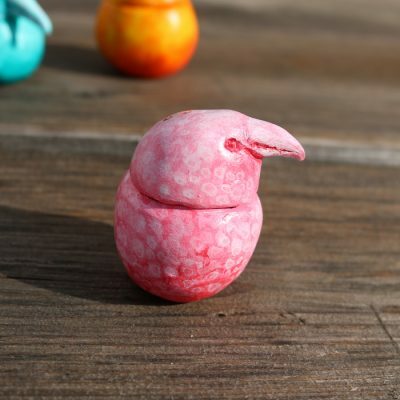 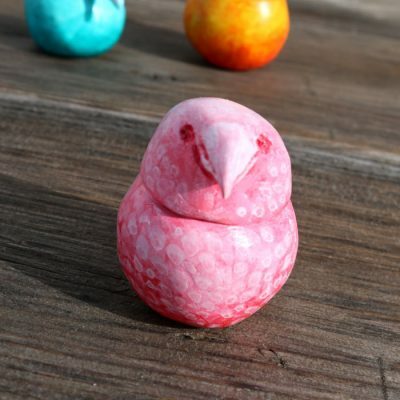 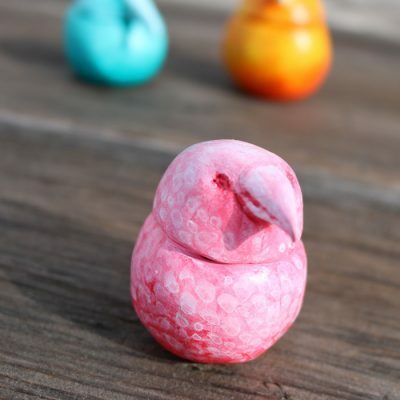 This cute little bird is hand made from clay and meant to hold your favorite gem stones or crystals. It comes with the stone “Carnelian” – “stone of physical energy”, promotes personal happiness and fulfillment. 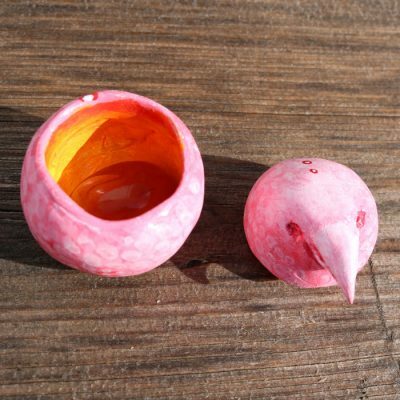 Handpainted with a pink dotted design and a bright yellow interior.